As mentioned in the last post, this part 2 in a 3-part series on the Disney Cruise. 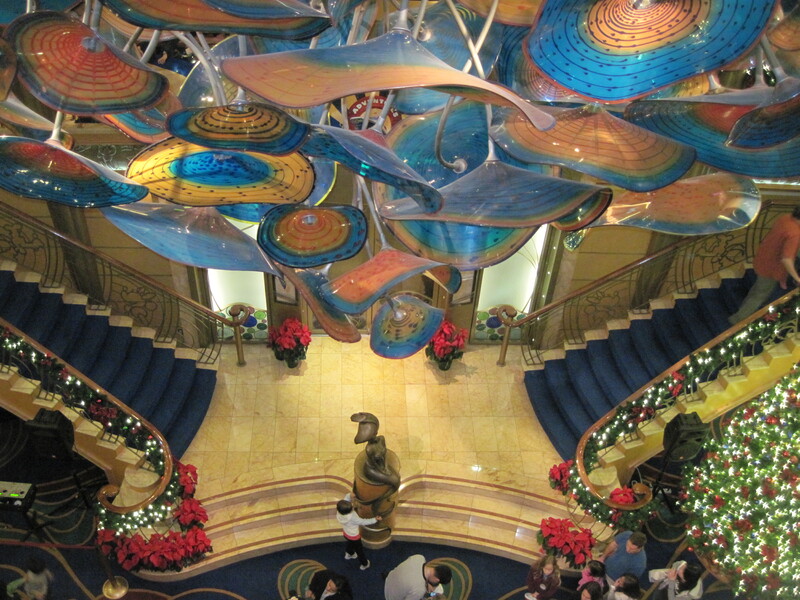 Read on for very extensive details about the cruise. 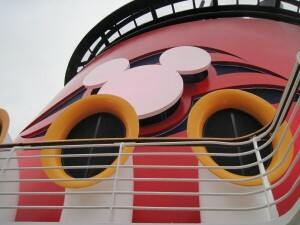 Part 1 was an overview of the Disney cruise. 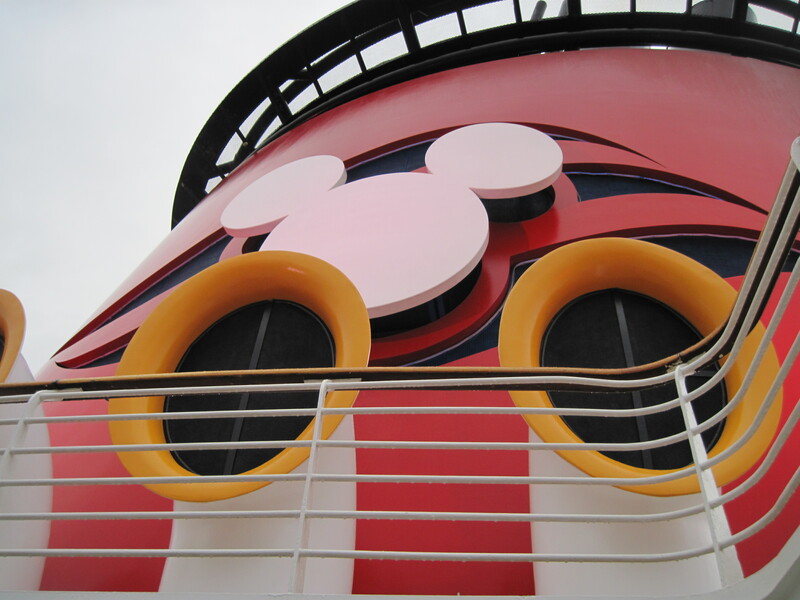 Part 3 is special Hidden Mickey photos from the Disney cruise. Here I break the cruise into categories. 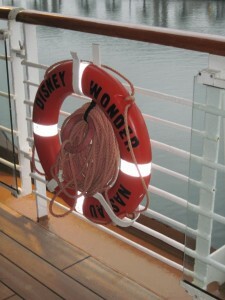 If you've taken a Disney Cruise, please post about your experiences! Embarcation – the check-in process was handled well. First timers go in a separate line than “Castaway Cay” members (experienced Disney cruisers). 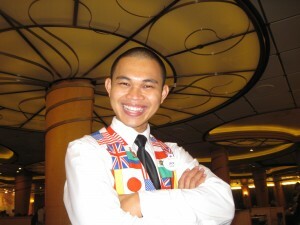 They’ll take your photo and give you a Key to the World card, which is all you need on the ship for just about everything. You go through security and then you can get the perfunctory group photo taken. 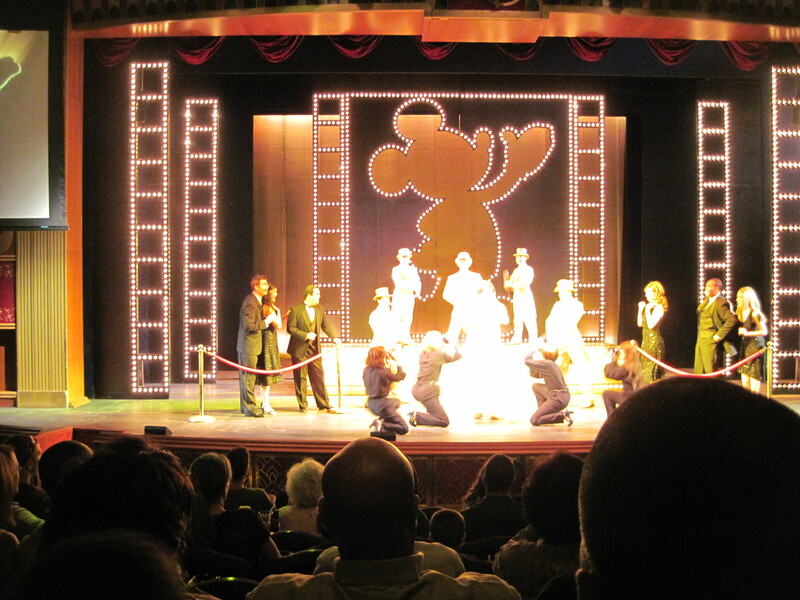 When you enter the ship, the crew member asks for your family name, and then announces, “WELCOME TO THE (YOUR NAME) FAMILY!” Other cast members are standing on either side clapping and cheering, like paparazzi on the red carpet. We were cracking up. 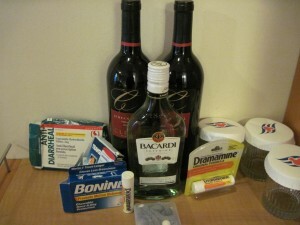 You’ll get approached with foofy alcoholic drinks – these cost money (though a reasonable $7.50). 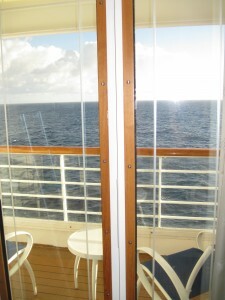 It was much lower pressure than the other cruise we went on! First Hours – Since your cabin likely won’t be ready, go for lunch (ask a cast member about options) and look around the ship. The kids’ clubs won’t be open yet (though they have an open house in the late afternoon). As you walk around, they’ll try to upsell you (like on a case of bottled water for your room, or wine packages for meals). 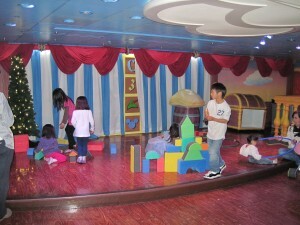 Kids Club – Disney has several kids’ clubs which were adorable and well-staffed – and included in the price. It’s very crowded when it opens the first day. Sign them up online to avoid some of the paperwork there. Each kid gets a bracelet with a GPS monitor on it. Don’t lose it or you have to pay them $50. This GPS is swiped every time they go in or out of the room. 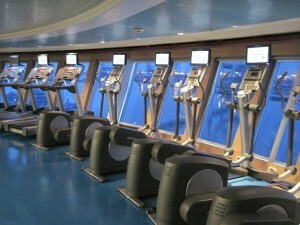 As for activities, there’s a full list of activities on the Navigator, but there’s always Wii, board games and computer. Plus lots of tournaments, crafts and special activities. The kids can eat lunch and dinner there (no fee). 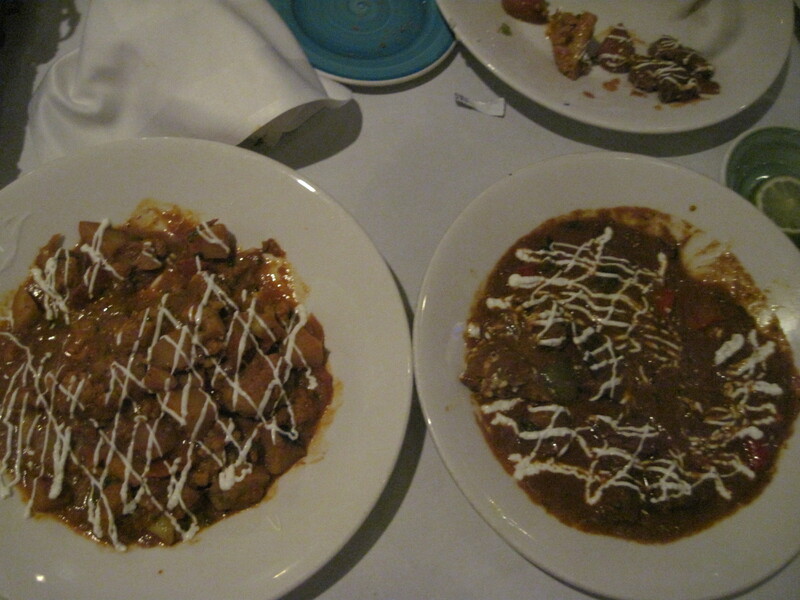 The two times my son ate there, he said he didn’t get enough to eat, and that the selection was too narrow. However I also heard of counselors bringing pizza in for a kid, so perhaps my son didn’t ask the counselor for more (or different) food. You can elect whether your child can sign him/herself in and out of the club without an adult (and you can change this by the day if you want). And you can specify which adults are allowed to pick the child up (you tell them your “code” word – and they need to swipe their Key to the World card at exit, so the system knows who took them out). The clubs are often open past midnight, so you can catch an adult show or get a drink without worrying about the kids. Flounder’s Reef Nursery - for kids 3 months to 3 years, the nursery does cost extra (unlike the other kids’ clubs, but it’s a reasonable $6/hour). 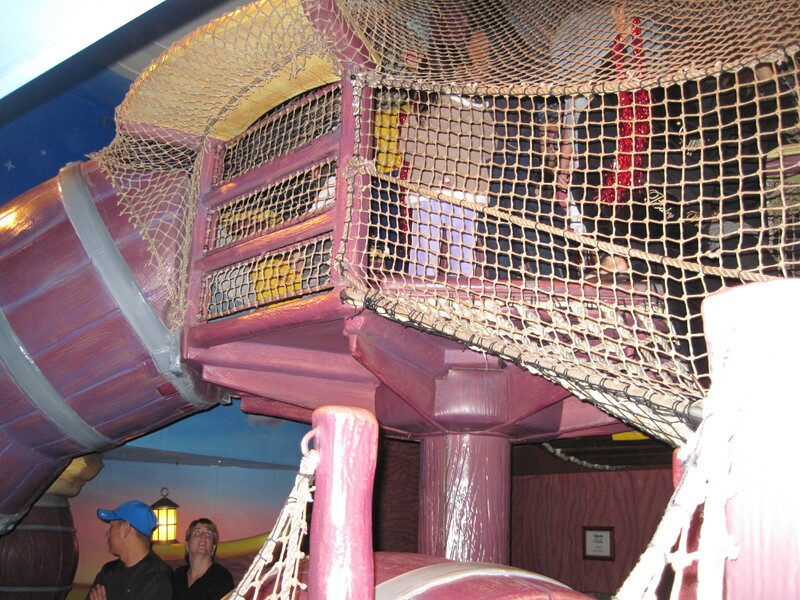 The Oceaneer Club is for kids ages 3-10, and usually open past midnight. My kids are 8 and 10, and we took one look in the club and realized they’d not be stepping foot in it again. It’s very cute, but for the younger set. They have computers, movies, dancing, games, TV, a slide and climbing area. And the princesses visit there. 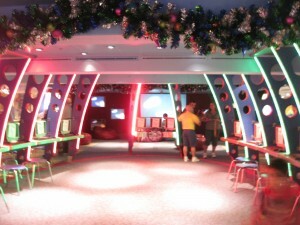 The Oceaneer Lab is for kids ages 3-10 (and they can go back and forth between the Club and the Lab – on the same floor). They do science experiments, bake cookies, watch movies, play computer, play games, do art, dance and more. My 8 year old LOVED going to the Lab, and spent a lot of time there. My 10 year old daughter hated it, probably because she didn’t make any friends there. She thought it was too babyish. The Edge is for kids 11 to 13 (or a month or two shy of 11). They have computers, Wii, karaoke, arts/crafts, pizza making, scavenger hunts and more. If your child is not old enough for the Edge, but is very close (like my daughter) there are some Edge events (‘out and about’) open to them. The Vibe -preteens and teens (14-17). Includes video games, board games, TV, music, dance parties, karaoke. Also know there’s a sports area on the top deck (basketball) with foosball and table tennis. Open noon to 2 a.m.
Teens/Tweens - I'm getting a lot of questions about whether a Disney cruise is appropriate for teens/tweens, or is too babyish. I do think that teens/tweens will love it - if they make friends. 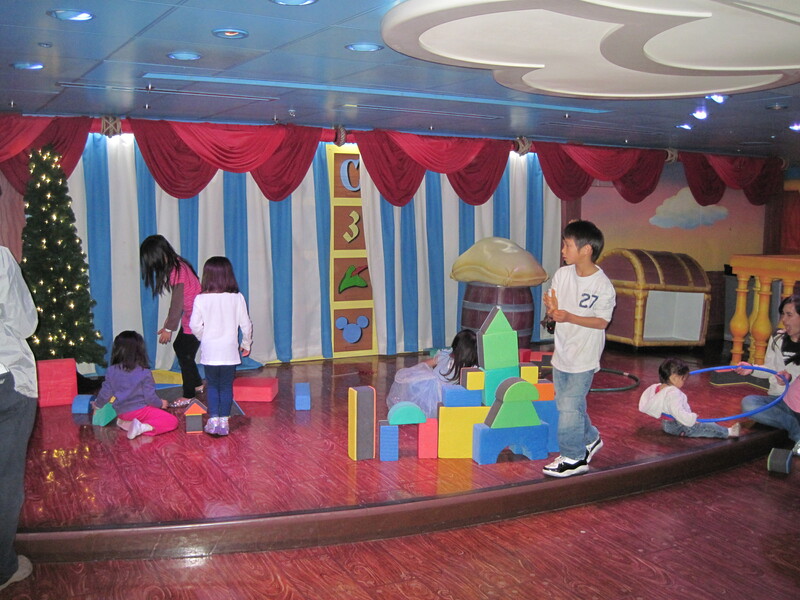 We saw a lot of kids in that age range running around in packs on the ship, having a great time. Sure, they won't necessarily want their photos with the princesses, but no one forces them to do this. They have their own hang-out space, can leave the clubs at will, and have the freedom they want. My advice is to get them to the Vibe or the Edge at the beginning, so they can meet friends quickly. Communication - Each stateroom comes with two "wave" phones, which is like your personal cell phone for the cruise, so you can call the other people from your room if you're separated, call your stateroom, or call others you're meeting up with on the ship. Oddly, there is only one charger, though. Your wave phone works all over the ship (and on Castaway Cay if touring the Bahamas). It works in short distance of the ship as well. Entertainment – Every night you get a Navigator (schedule) for the next day, with the entertainment schedules. There is usually one big live show per night (and sometimes in the afternoon). It’s in the Walt Disney Theater, and is a professional quality show. Some involve princesses, some are a little hokey. Some have entertainers brought in, like magicians and comedians, who were terrific (you can see family and adult versions of the show – though even the adult versions are PG rated). The singing and dancing is great, and the production value is huge. This was confirmed by two in our party who work in Hollywood. The staging is amazing. The theater opens 30 minutes prior to seating, and we never had a problem getting seats, even on the busy Thanksgiving week. Movies – Since Disney owns so many movies, they show first run movies and older movies. We saw the premier of The Muppets on the same day it opened in all other theaters, along with a prelude by the ship's version of Statler and Waldorf. And then the kids could see it again the next day (for free!). There’s a dedicated movie theater that shows several movies a day, like Disney Nature, African Cats, Toy Story 3, Real Steel, the Help, Cars 2 and Disney classics. 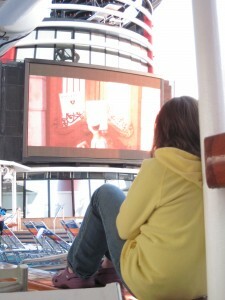 They show several movies a day outdoors at one of the pools. And you can see tons of movies on your TV screen in your stateroom (Transformers, Cowboys & Aliens, Pirates of the Caribbean, Judy Moody, the Smurfs, Green Lantern, Harry Potter and more). Activities – there are tons of classes, games and game shows open to the family. We played a rockin’ game of Family Feud and 80s music trivia, and enjoyed the Generations game. My daughter and I went to the towel folding class (fancy animals, not regular folding), which was really fun, as was the animation class. For a fee, they have alcohol tastings (wine, tequila, etc.) for the adults. Characters – you will see characters everywhere – mostly for photos. They list the character appearances on the Navigator, and if you run into one in the hallway (like below), they’ll stop and let you take photos. There are 2 princess events, where 5 princesses come out at the same time. You’ll wait an hour in line one way or the other – get there early, or wait later. It’s a zoo. Mickey and Minnie come out daily in various costumes depending on the day. You can take your own pictures or just let the ship photographers do it. You’re also booked for a character breakfast, which you shouldn’t miss. You’ll get photos with probably 6 characters, and your server will make fun napkin hats for you. You’ll pay upwards of $60/person for this at Disneyland or Disney World. Here it’s included. Bring your camera – they don’t have a ship photographer. Photos – If you’re the type who likes to get professional photos from cruises, just get the $250 package, which includes a CD of all photos the photographer takes. Then get in every single photo line and go crazy. 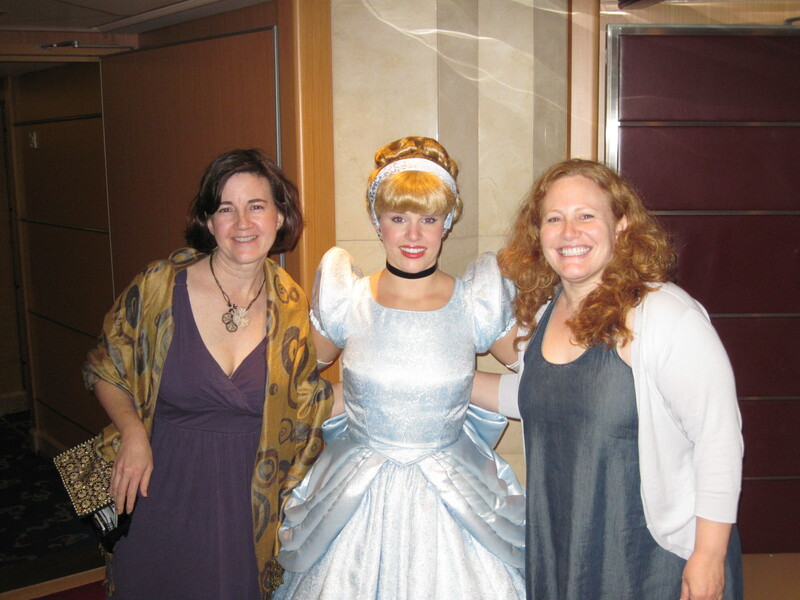 There are many, many photo opportunities: with characters, with your family on formal night (several settings), with the captain, at meals, at embarkation, on pirate night, at the adult Palo restaurant, etc. They do a very nice job with the photos. 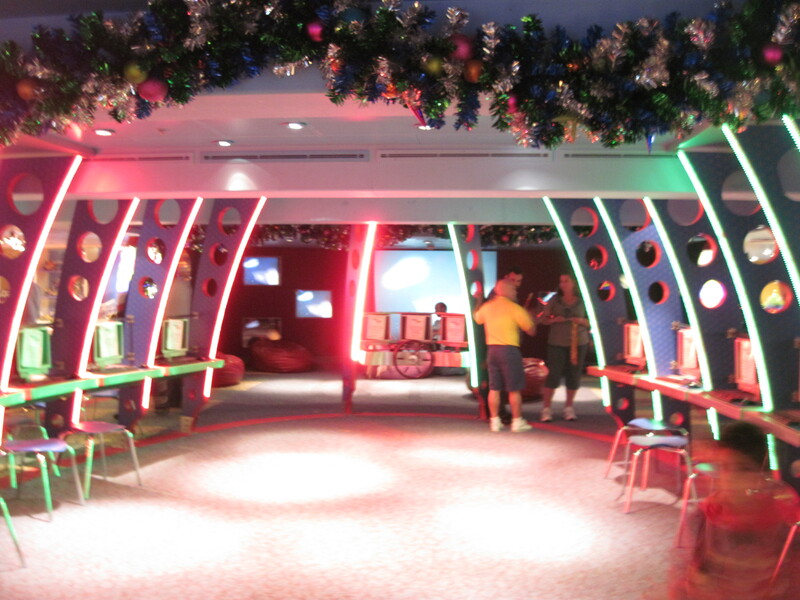 Food – the cruise uses a rotational dining system, where you have a set time (5:45 or 8:15) for dinner, and you switch restaurants (Triton’s, Parrot Cay or Animator’s Palate) every night. Your staff stays the same, however. They also book you an included character breakfast. Otherwise you’re on your own for breakfast and lunch (Triton’s has a la carte (menu) service, and the other restaurants, including Beach Blanket Buffet are buffet). I thought the food was very good, as was service. You have a waiter and assistant waiter (who is in charge of your drinks). When we arrived for our first dinner, the kids already had cups with their names on them at the table, which impressed us all. After that first meal, we had nonalcoholic drinks brought to us without us even asking (the assistant server took note of what we ordered the first night). You can order wine or cocktails at dinner for a fee. The staff has all kinds of napkin and crayon tricks they’ll do with you for fun, and they paid special attention to the kids, bringing their food out early. The head waiter made himself known, and was delightful. When he found out we liked Indian food, he made sure we got 2 large plates (with rice and naan) every night, following our regular meal. The food was awesome. They can sometimes do Thai food and maybe other cuisines – something worth asking if you’re interested in. The buffets had a good variety of food (including Krispy Kremes for breakfast!). You can order room service – a tip is expected. We did this for breakfast one morning when we wanted to disembark early for a shore day. 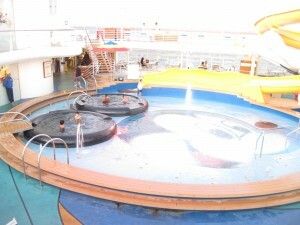 There are several fast-food places on the 9th deck near all the pools. They’re free (though smoothies and alcoholic drinks are not). 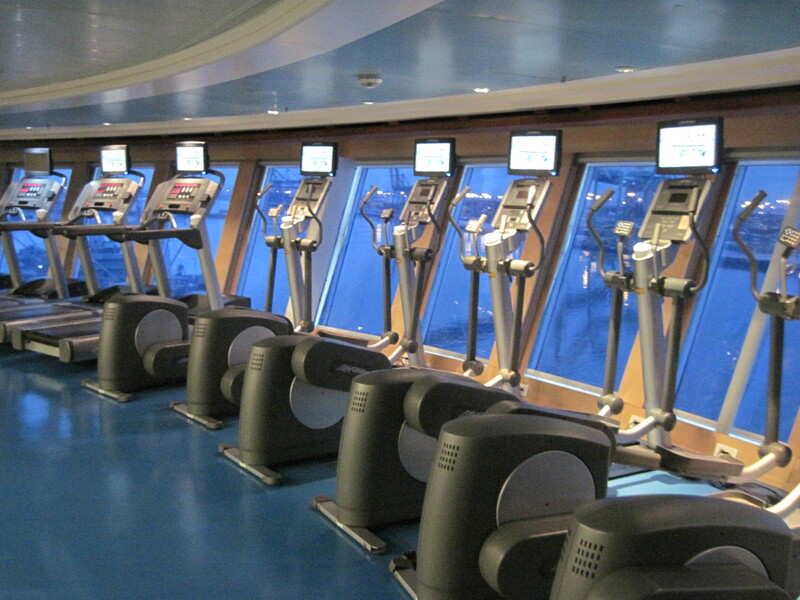 Here you’ll also find the ship’s only self-serve soda and coffee area – open 24 hours a day. That’s free too. Goofy’s Galley serves fruit and premade sandwiches. They looked really good. Pluto’s Dog House serves hot dogs, chicken fingers, French fries, and a few other unhealthier options. And the favorite of my son: Pinocchio’s Pizzeria. That was mediocre, but the kids were happy. Also, there are 2 self-serve soft ice cream machines we took advantage of. Pools – The ship had 3 public pools on the same deck (deck 9), one of them adults-only. Surprisingly there was no lifeguard at any of them. Maybe it’s a liability thing. The pools were pretty small. The Mickey pool was shallow, and had a cute slide my kids thought was too slow. 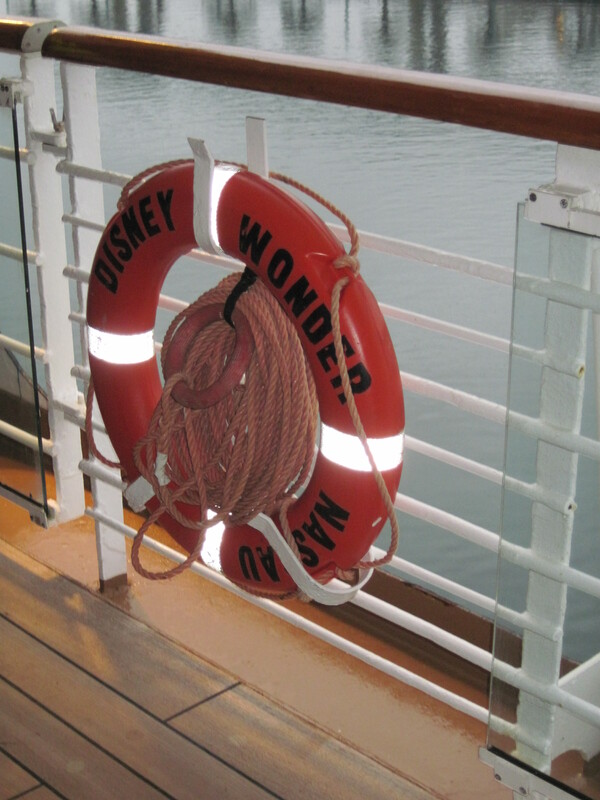 The Wonder is not the same as the Dream, which has the awesome looking tunnel slide you go on with a raft, that goes over the side of the ship. The Goofy pool is deeper, but also small, and has the movie screen. The Goofy pool and adult pool have hot tubs (not hot enough for my liking). 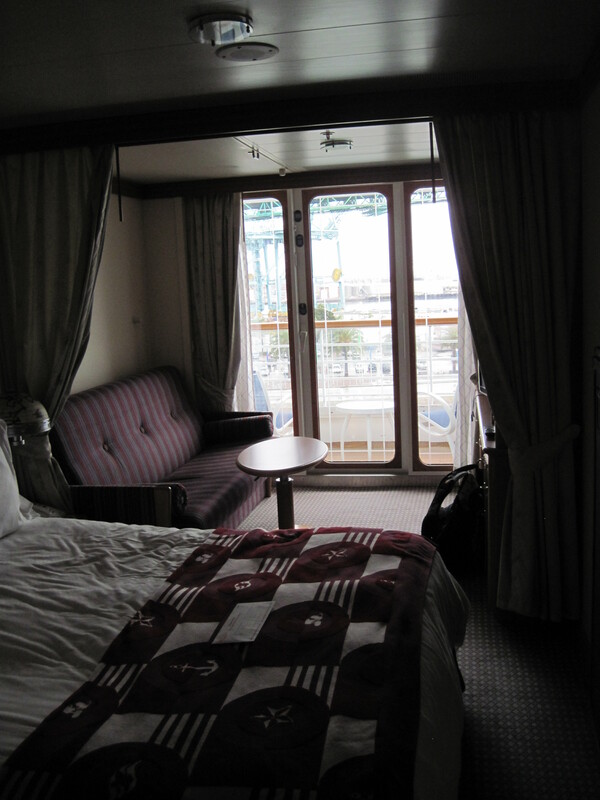 Staterooms – We initially booked an inside room, but were able to upgrade closer to cruise time, for a porthole room (no charge), or verandah (balcony room) for $200. It was a no brainer and we got the verandah. The outside rooms are more spacious than the inside rooms (we peeked in – the inside rooms are 184-214 sf). The porthole rooms are also 214, whereas the verandah rooms start at 268 sf. The inside staterooms have one bathroom, where as the others all have a split bathroom (toilet/sink in one, shower/sink in the other). In all, the couch turns into a bed, with a bunk bed coming down from the ceiling. From experience: if your child feels nauseous, have him/her sleep on the bottom bunk. No matter which room you have, there’s a curtain separating the big bed from the bunk beds. We found there was enough drawer and closet space for the 4 of us. The rooms have a cooler, which is not supposed to be as cold as a mini fridge, but it worked that way for us. 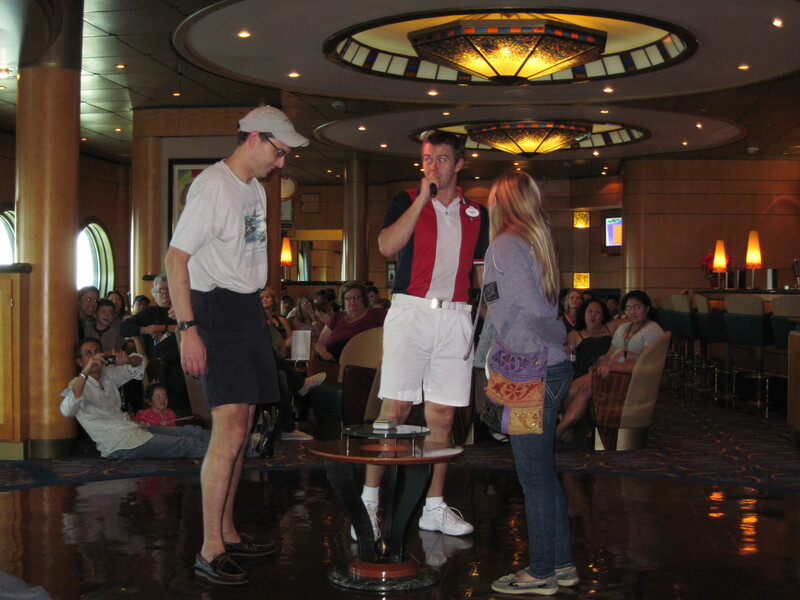 Alcohol – You can bring alcohol on board a Disney cruise. You’re supposed to carry it on. The Disney site doesn’t have a very detailed listing of how much you can bring on. Some sources say 2 bottles an adult. Some say unlimited. You can only drink your own alcohol in your state room, though if you happen to transfer it to a water bottle and pour it into your cup on deck, who would notice? They have a duty free liquor store (and can deliver to your room), and I’d recommend if you’re buying hard alcohol, just do it on the ship. The prices were good – we paid almost the same price for a smaller bottle of rum from Trader Joes than we would have gotten on board. The poured drink prices were also very reasonable – like $7.50 for cocktails and $7-10 for a glass of wine. If you bring your own wine, do bring a wine opener or screw top bottles. You can bring your own wine to dinner for a $20 corkage fee. 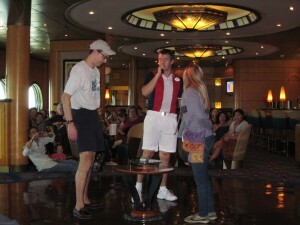 Formal night – For a 7 night cruise, the ship has one formal night, several semi-formal nights and several casual nights. You don’t have to dress up. Some women are in ball gowns, some are in cocktail dresses, some are in pants. Up to you. Pirate Night – I didn’t expect Pirate Night to be so fun. The servers and characters were all decked out in great costumes. Some guests got decked out as well. At dinner, they gave out Mickey bandanas. That night, they have a pirate party (late) with dancing and music. 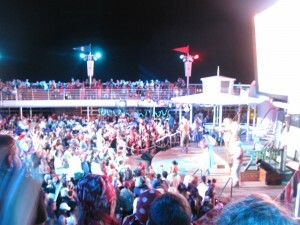 Deck 10 is less crowded, by the way. If you want to be at the main party on deck 9, get there early. Spoiler alert: during the party, Mickey ziplines down to the stage (I seriously didn’t see that coming – it was as good as Tinkerbell coming from the castle during the park fireworks). Then they have fireworks. Awesome!!! Granted, for Disney, the fireworks are NOT on par with the park shows. They weren’t coordinated to music and there weren’t any special displays. But still, you’re on a cruise ship with your own firework show! Then they have a dessert buffet and a savory buffet (giant turkey leg anyone?). Dessert Buffet - In addition to the Pirate Night dessert buffet, there's a chocolate buffet toward the end of the cruise. I went to look, not eat. Personally, I think the cruise desserts weren't all that great (especially the chocolate ones), so I saved on a few calories by avoiding some desserts (the pies/tarts and creme brulee was good, however). The chocolate buffet was fun to look at, with some great chocolate sculptures, but few really tempted me. And I do love dessert. They have a chocolate fountain with fruits to dip. 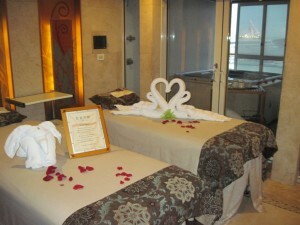 Spa – the Spa has specials on the first day (and specials most other days, especially port days). I recommend touring on the first day. It’s a beautiful spa and gym, which is in the spa area (as is the salon). 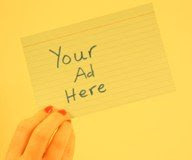 Don’t let them sell you the exclusive package that allows you to use the sauna/steam/relaxation room 24 hours a day. A member of our group bought the package and said that spa employees never check ID, so anyone can go in there unless it’s really busy. So they paid $200 a couple, for something you can get for free. Everyone in our group (except my hubby and me) got massages, which were quite nice. Highly recommended is the Thai massage and the herbal ball massage, which one member raved about. Our family member who used the spa daily said the spa showers are more comfortable (taller) than the cabin showers, but they water down the shampoo. They have lockers there, and you can shower there after the gym as well as spa services. 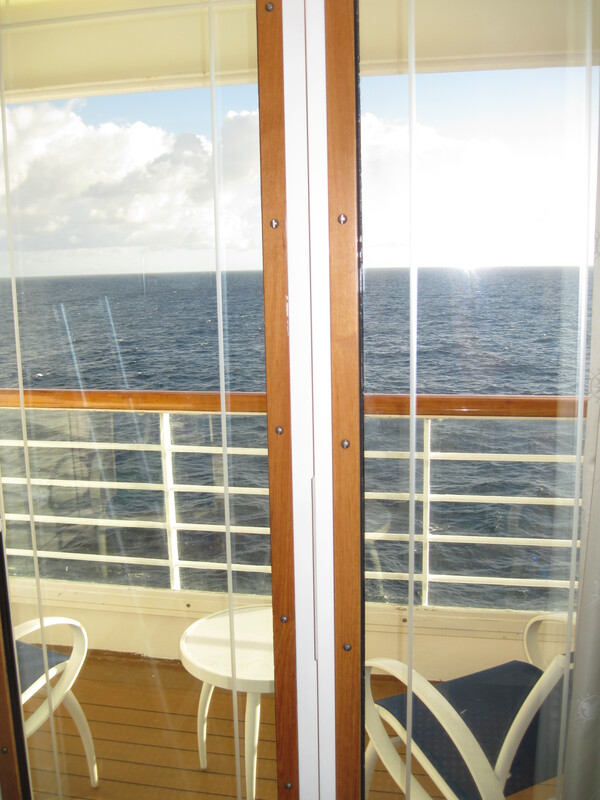 Sea Sickness – I’m a barfer, and not so good with boat motion. Fortunately our cruise was smooth until the second to last night. While I felt fine (more on that later), several in our party felt sick. And my son got sick that night. That’s when it’s great to have HOUSEKEEPING! 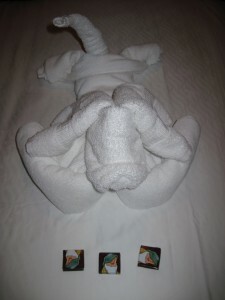 Note – if you get sick on a Disney cruise, don’t call housekeeping – call guest services and tell them someone got sick. They’ll send someone with a hazard bag (no kidding) wearing a hazard space suit and gloves, to take away your puke-filled sheets and towels. They’ll offer to remake the bed (we declined). It was nice to have a verandah for the fresh air (the room stunk). 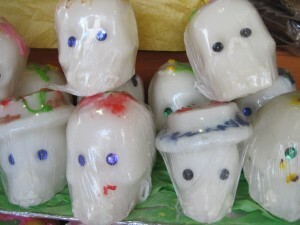 They will give you free medicine (Bonine) – though if you’re already sick, it probably won’t help. They’ll call you the next day to see how you’re doing. I brought Dramamine, Bonine and the prescription “transdermal patch.” The patch lasts for three days and will make you incredibly thirsty (my sister, a nurse, said they use these in the hospital to dry out patients who have too many secretions – you’ve been warned). But I didn’t get sick. If you tend to get sick, take your medication a few hours before getting on the ship, and keep taking it for a day or so after, because you can get effects lasting after the trip. And remember, I’m not a doctor and this doesn’t constitute medical advice. Internet - they offer several packages of internet service. You pay 75 cents a minute, or $55 for 100 minutes, You can get 250 minutes for $100 or 500 minutes for $150. Use your own computer or use their internet café. Internet is slower on board than on land. Annoying – They make announcements several times a day, mainly about activities listed on your Navigator. These are preceded by the bell that rings in the “when you wish upon a star” sound, which is a song I now HATE. You won’t hear the announcements in the state room (you’ll have to open the door to hear), but you will hear that chime. Excursions – these were well organized. 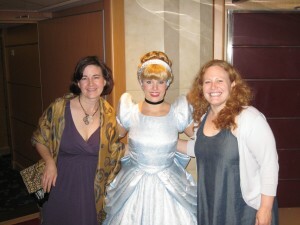 You get your tickets in your stateroom at boarding, and meet in the spot they say on board. They give you stickers (color and character coded) so they can track you (and you can make sure you’re with the right people), and they lead you out with Mickey shaped paddles. The two excursions we went on were both excellent (snorkeling in Cabo and dolphin adventure in Puerto Vallarta). One advantage to booking with the cruise is that if there’s a problem, you go back to Disney to complain and handle it. You’ll pay more booking excursions with them, but if you’re late and miss the excursion (as some people missed their early dolphin spot in Cabo), you’ll get a full refund. We also found the snorkeling excursion to have excellent service. 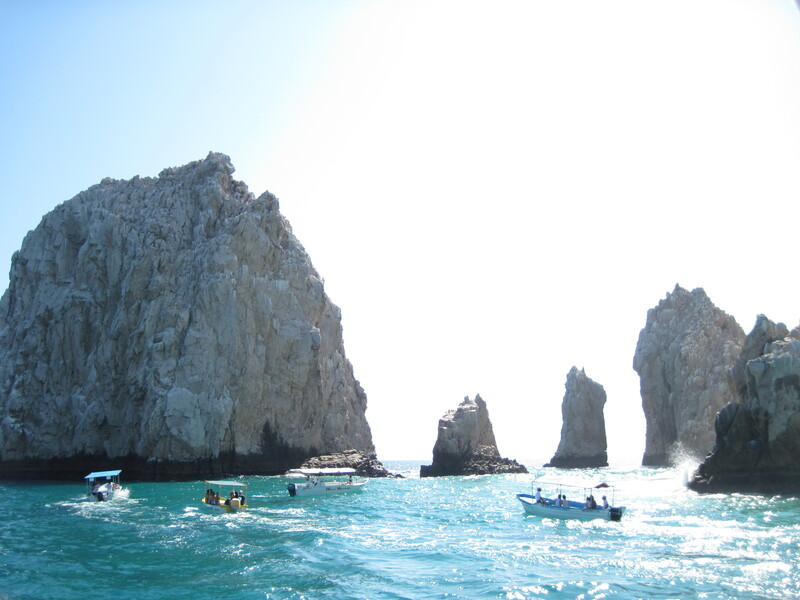 When in Cabo, you can find plenty of people at the dock who can take you out in a boat snorkeling. We did try booking some of the dolphin things on our own, but when they found out we were with a cruise, they said we had to book through the cruise. Ports – We found the excursions desk staff useless when it came to asking about a meeting spot in Puerto Vallarta. Our group was splitting up for the morning but wanted to meet up in town. The excursions staff had absolutely no clue where we could meet up in town, and kept suggesting Starbucks across the busy street from the port. They also couldn’t tell us how much we should pay for a taxi. “It isn’t much,” is just not helpful. 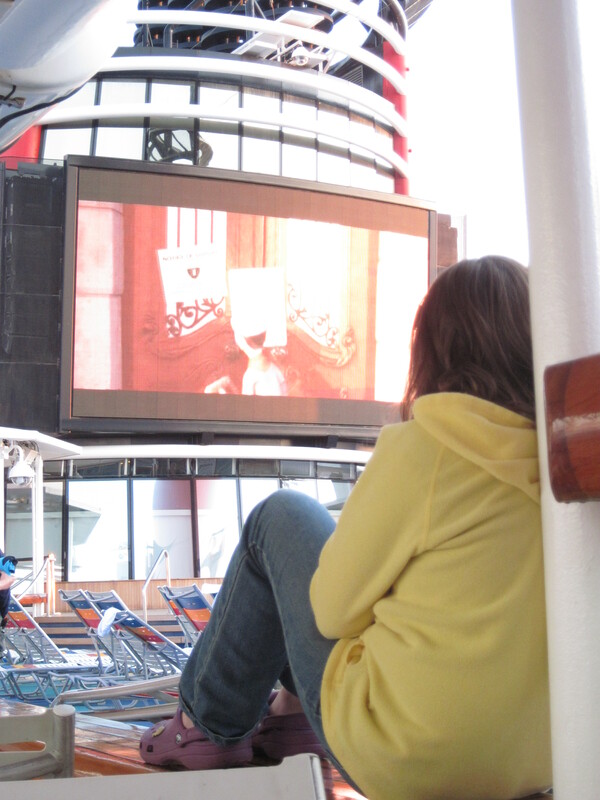 Disembarcation – this was the worst part of the Disney Cruise experience. The night before you leave, you get luggage tags with a color and character. Not only is that a sign for where you’ll find your luggage later (you leave it in the hall the night before, so they can take it off quickly the next day), but they call you in groups by the tag, to leave the ship. If you have an early flight (they’ll tell you whether you qualify), you leave first. Everyone else eats a sit-down breakfast at a specified time, then tries to find space in a lounge to hang out. This is where the chaos begins. You bring your carry-on luggage with you (which means lots of roller board suitcases in narrow spaces) to breakfast. Then you fight the crowds trying to find an available lounge. Which is supposed to have entertainment, but instead had nothing – not even staff members. In fact, we didn’t see any staff members anywhere (aside from those setting up for lunch, those selling photos, and those swiping your cards as you got off the boat). When they called our tag, we made our way downstairs to the exit line. Which stretched from midship (where we exited), to the back of the boat in the restaurant. It was crazy and very stressful. Not Disney-like at all. 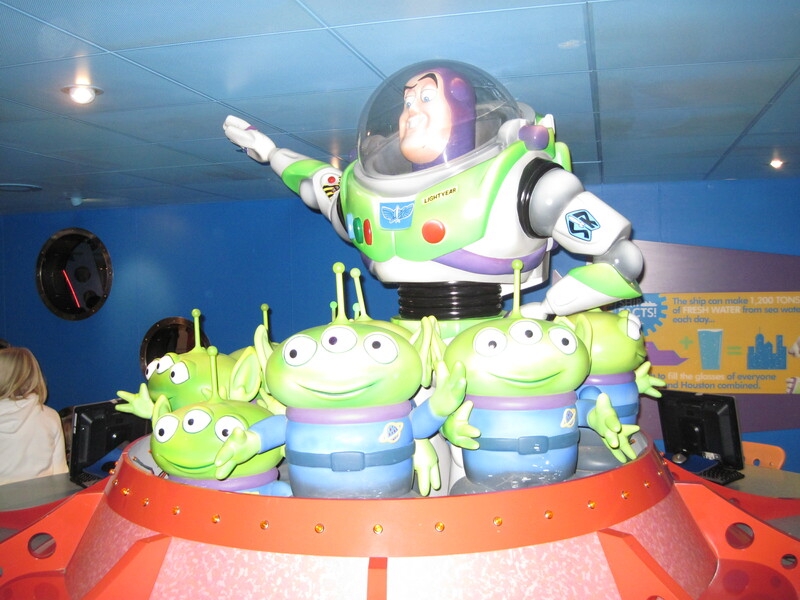 There was no organization in the exit area, with no staff members directing people off the ship. People stopped to take photos by the Christmas trees in the lobby, so the entire line was waiting for them, rather than someone directing traffic. Not a good way to end the cruise. Future Mexican Riviera Cruises: Disney cancelled four of its December Mexican Riviera 2012 cruises, so it's not yet clear what the 2013 future is for this itinerary.